Also in attendance at the rally was the family of Markeis McGlockton and the parents of Trayvon Martin who was fatally shot in 2012 by a neighborhood watch captain. 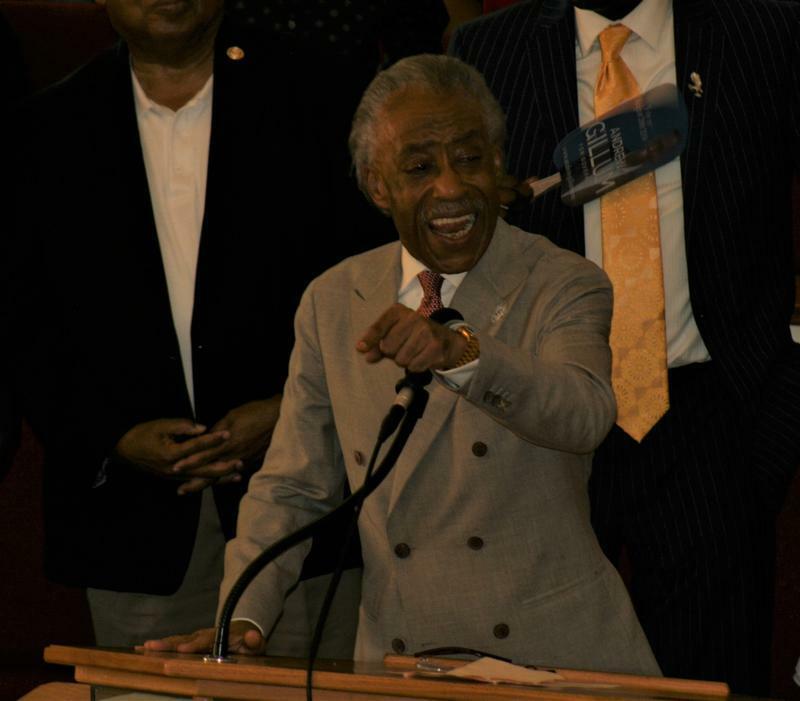 Al Sharpton has joined growing calls for Florida and the nation to end "stand your ground" laws after the death of Markeis McGlockton. Many marchers held signs reading "Justice for Markeis," referring to Markeis McGlockton, the 28-year-old black man police say was fatally shot over a parking dispute last month by a 47-year-old white man. Dinis Rivera of Clearwater says as person of color, he feels Florida's stand your ground law discriminates against people like him. "You know you just can't go around killing people who you feel are different,” he said. At a news conference before the rally, Sharpton echoed that belief. "You cannot have different strokes for different folks." The civil rights leader also called for the state attorney's office to conduct an investigation into Markeis McGlockton’s death. “And anything less than that is to affirm and establish that they consider us less than human and less than full citizens,” he said. 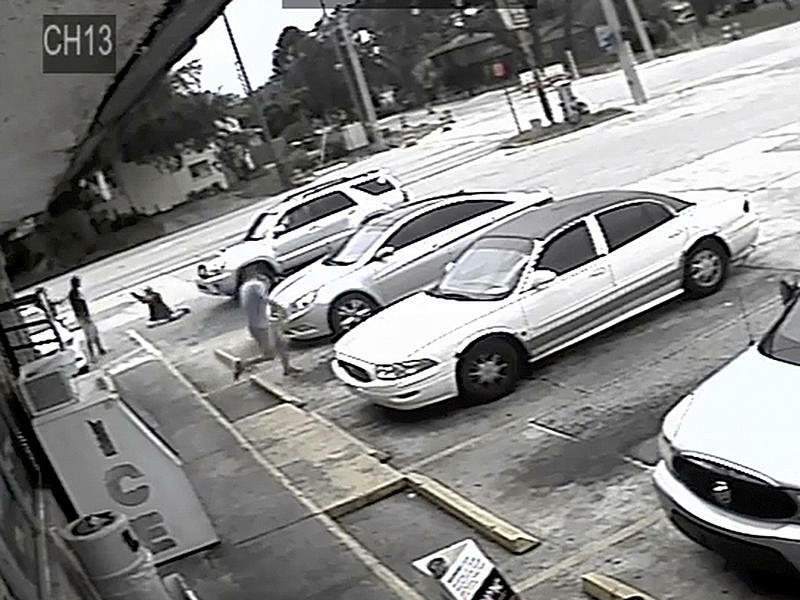 "This case should not be tried in the parking lot of a gas station. It should be tried in a court room." 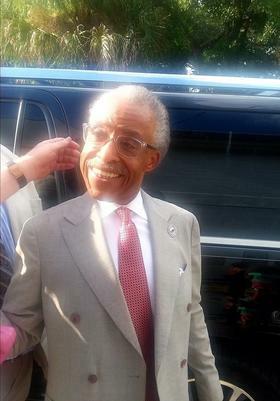 Sharpton also criticized President Donald Trump who was recently in Tampa for a campaign rally. 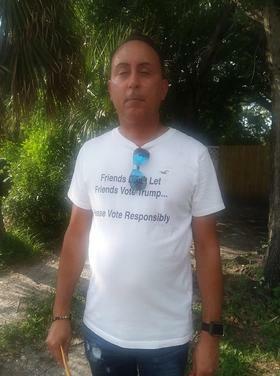 "This is a real disgrace that the president of the United States would come to Tampa and talk about voter IDs and not one time mention stand your ground or what happened to Markeis McGlockton," he said. Also in attendance at the rally was the family of Markeis McGlockton, the parents of Trayvon Martin and all five Democratic gubernatorial candidates. 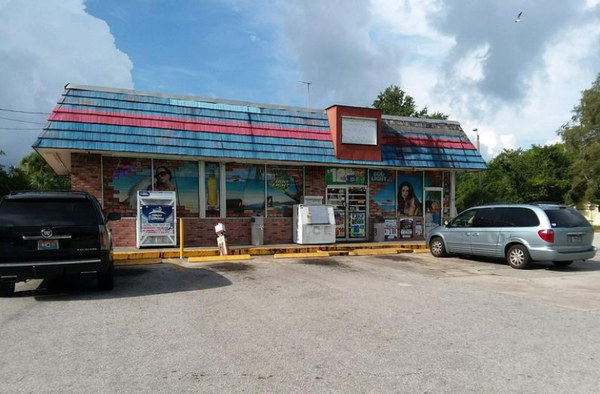 Police say McGlockton was fatally shot in the parking lot of the Circle A Food Store on July 19 by Michael Drejka. The incident started when Drejka approached Brittany Jacobs, the girlfriend of McGlockton to complain that she was illegally parked in a disabled spot. Police said the two got into an argument over whether she was allowed to be parked in that spot without having the right decals. Video from the convenience store cameras shows McGlockton coming out of the store and pushing Drejka to the ground. Drejka then pulled out a gun and fatally shot McGlockton, who was unarmed. 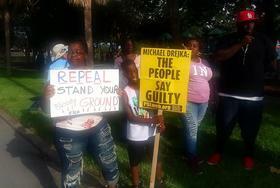 Florida’s Republican-led legislature created the nation’s first ‘stand your ground’ law in 2005. In 2017, Florida’s stand your ground law was amended to put the burden of proof on the prosecution. Previously, defendants had to prove they were in fear of bodily harm. 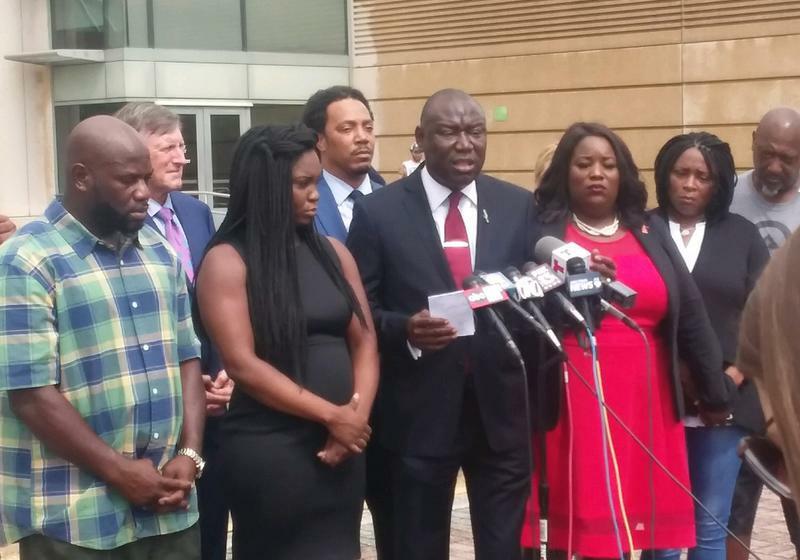 At a news conference on July 26, attorney Ben Crump, best known for representing the family of Trayvon Martin said prosecutors should not apply Florida's ‘stand your ground’ law in the shooting. “Make no mistake, this was a cold-blooded murder," Crump said. Crump, who is representing McGlockton's family, says the death was similar to Martin, a black teenager who was killed by neighborhood watch captain George Zimmerman in 2012. The shooting, Crump said, was done in a "racist, calculated" manner. "Imagine you had a black man approach a white woman sitting in the car with her white toddler children in the back seat and a white father came out to protect his family and shot this strange black man who approached their car," he said. "Does anyone doubt that he would have been arrested and taken to jail? So why it is different when there is a black person lying on the ground?" At a July 31, press conference, Pinellas County Sheriff Bob Gualtieri defended his department’s decision to not arrest shooter Michael Drejka, who has a concealed carry license. “The easy thing is not the right thing or the legal thing to do based upon the application of law in this case,” he said. State Attorney for Pinellas County Bernie McCabe received the case on August 1 after the Pinellas County Sheriff's Office completed their investigation. There is no time frame for how long it will take the state attorney’s office to review the case and to determine whether charges will be filed. 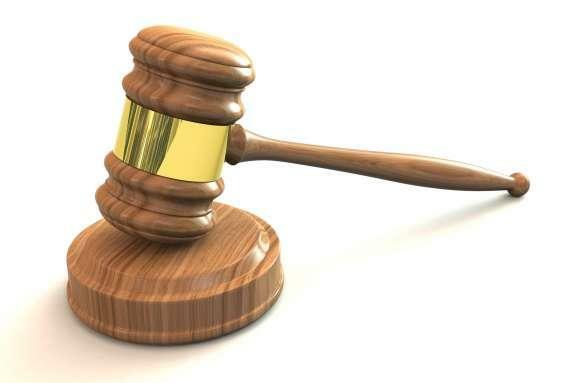 An appeals court Wednesday upheld the second-degree murder conviction of a man who said he should be shielded from prosecution under the state’s “stand your ground” self-defense law in a 2014 shooting in a car in rural Palm Beach County.